For customers looking to reduce the cost and weight of parts, without sacrificing quality and wear resistance, metal to plastic conversion is often explored and deployed as an optimal solution. 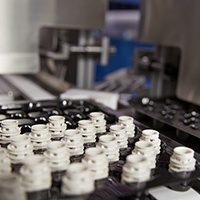 With advancements in design, engineered plastics can be just as strong and chemical and heat resistant which makes plastic a great option for many parts, particularly those used in fluid handling systems and other high-temperature applications. The first step in any metal to plastic conversion process at PCI involves our engineering team working closely with you to understand all of the part requirements. From there, we collaborate on all design for manufacturability elements, including part design, material selection and testing, mold design and process engineering. If you're considering moving forward with a metal to plastic part conversion, we encourage you to discuss your options with one of our experienced engineers to determine if such a transition is applicable for your product. We’re happy to share metal to plastic conversion examples that are applicable to your industry and unique application. Learn about our quick, low-cost prototype capabilities to support this transition.